Rafah. Gaza. Palestinian Territories. 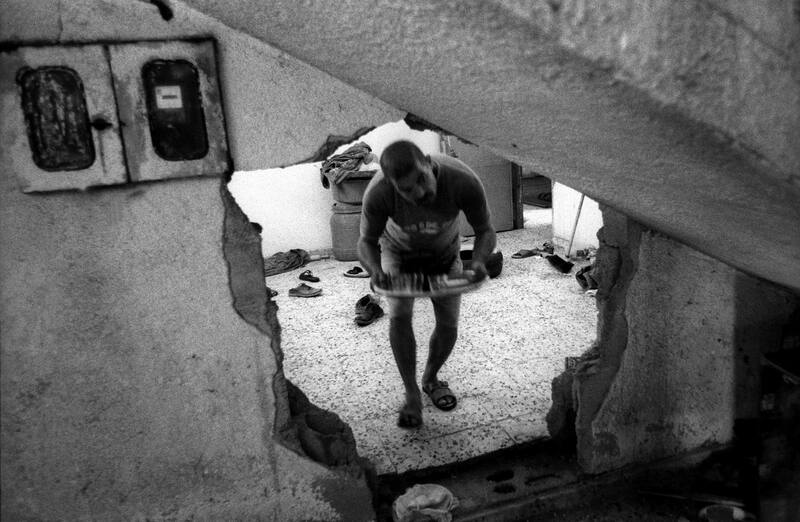 April 2005 A man carries tea through a hole he was forced to make to escape the big guns of the Israeli military during their incursion of May 2004.